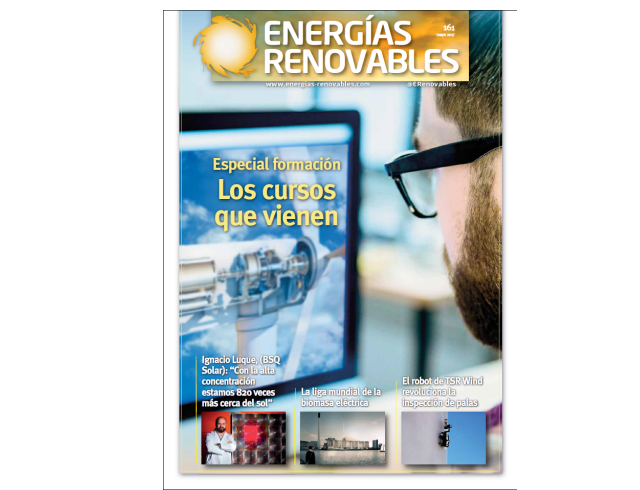 Energías Renovables is Spain’s most read magazine regarding the field of Renewable Energies. It is a monthly publication that covers market and industry news, technology advancements, outstanding international projects, opinion columns by experts and specialized journalists, regulatory and political analyses and interviews to actors in the field, mainly in the Spanish and LATAM arena. The interview a reached a wide audience and the effect can be felt about how it has increased the public awareness about our company. We thank Energias Renovables for their careful approach to this interview and what we believe is an excellent piece of technical journalism, hoping that our work will continue to be worth their attention.